Hungry for joy and play? Eager to reconnect to your voice and bod in new ways? 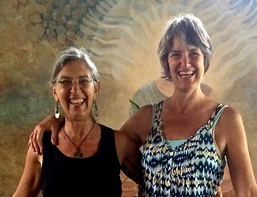 Join Barbara and Margie for a nourishing week of singing, yoga, chant, poetry, play, ceremony, and community at Mar de Jade, a retreat center 90 minutes north of Puerto Vallarta. You don't need ANY experience with yoga or singing to reap the full benefit of this week. Our emphasis is on pleasure and presence more than perfection. We offer two classes per day with lots of time off to do whatever you please. The retreat center offers optional early morning meditation and yoga as well. The beach is gorgeous and the waters relatively friendly. 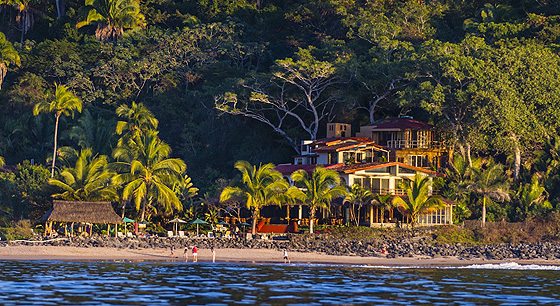 It's a short walk to the village of Chacala and a beautiful hike up the extinct volcano. Loll in the hammocks, float in the pool, and indulge in fresh, healthy, and scrumptious meals. Meet with the group just before dinner to sing in praise of sunset. There are optional activities available for a nominal fee including whale watching, a trip to the local street market, a sweat lodge, and guided hikes. Spa services are also available. Mar de Jade was founded almost 35 years ago by Dr. Laura del Valle in the spirit of service. Much of the income from the center goes to support local programs for children and teens as well as an organic ranch & Waldorf Montessori school in Chacala. Laura's daughter, Angelica, and son-in-law, Jorge, are now handling daily operations. Their hospitality is unmatched and it is a joy to support their fine work. No refunds with notice of cancellation less than 2 weeks from retreat start date. "The week with Barbara and Margie at Mar de Jade was a delight in so many ways! The place is peaceful, with a friendly climate and ocean, lovely employees, and amazing food (a buffet of amazements, every meal). The group was fun and compatible, the singing and yoga satisfying. A rest for body and soul." Yoga Mojo at Work Would you or someone you know love to have a yoga wellness program at work? Help organize a 10-week or ongoing class & your yoga is FREE. Classes are created to meet your group's unique needs.Contact me for availability. $150 per hour or $1400 per 10-week session (save $100).